Often the classes are small. 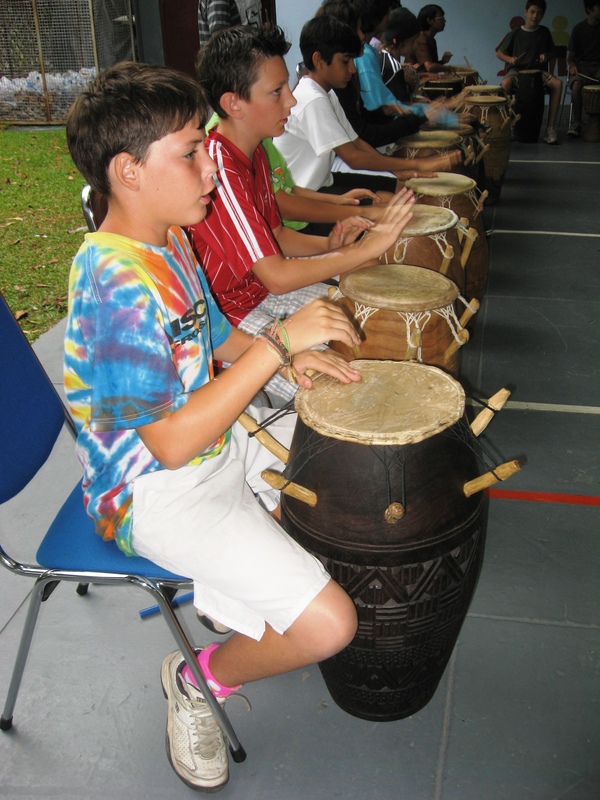 Always, the classes are full of kids who were born in lots of different places, all bringing their knowledge and ideas and traditions and family connections and passions into one little space. I tell kids that I went traveling from the United States to Ethiopia when I was only two years old. I ask how many of them changed continents when they were too young to remember; half or more raise their hands. We talk about the new things we found on new continents. We talk about those feelings…what we’ve loved about traveling and what we find confusing. I tell them that my writing gave me a way to talk about my home in Ethiopia that I never had until I started publishing books…and that maybe their writing will give them that kind of power. Here in Indonesia, the students and teachers and I have found lots of things in common. 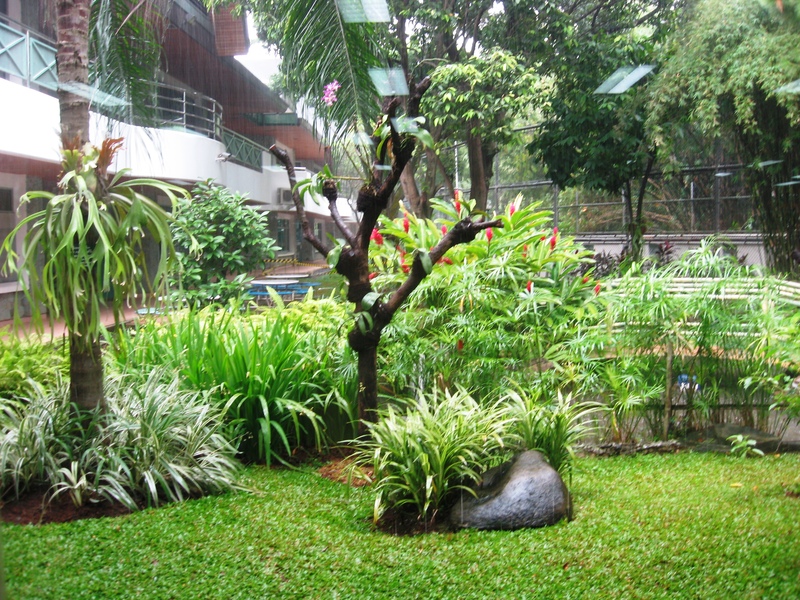 and rain whooshing down in Jakarta. 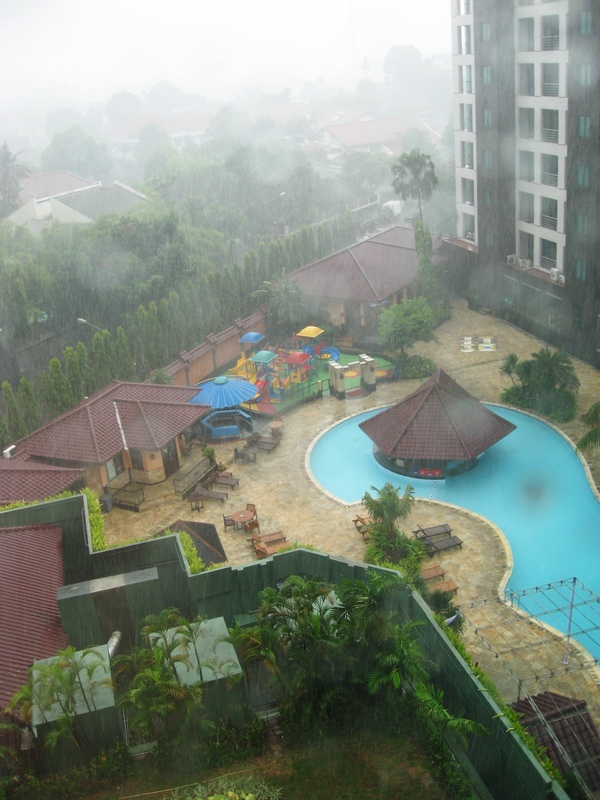 Here’s the view as I looked out the window of the hotel after I got back from the school one afternoon. Feelings of picking up and letting go of the things you know. Feelings of finding new things to hang onto, sometimes by one’s fingernails. The library at JIS-PIE has the hands-down most gorgeous view (out its window) of any school I’ve been in. Thinking about the snow I left behind in Kansas, I felt full of thrilldom every time I walked into the library. 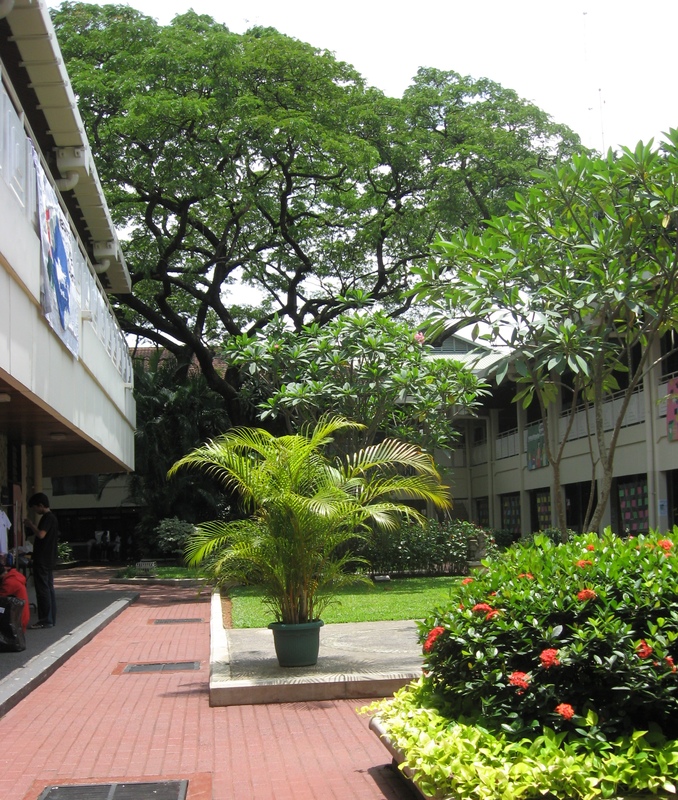 The other JIS campus has an enormous tree right in the middle of the courtyard. I sat on a bench during my break and filled myself up with the sight of it. But I even loved the insides of the rooms because that’s where the kids and teachers and librarians were. I did meet some passionate kids during these two weeks. One boy told me that his ancestors on one side were in Kenya for 563 years and the other side of his family comes from the Netherlands and he’s lived in both of those places and also in Spain and South Africa. World travelers, unite–and tell your tales. 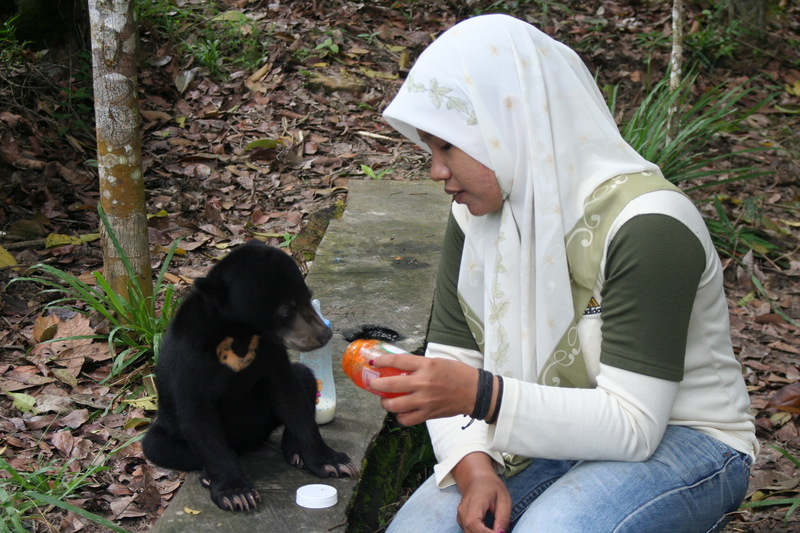 This sun bear is Lady, and she’s getting a shot at life. 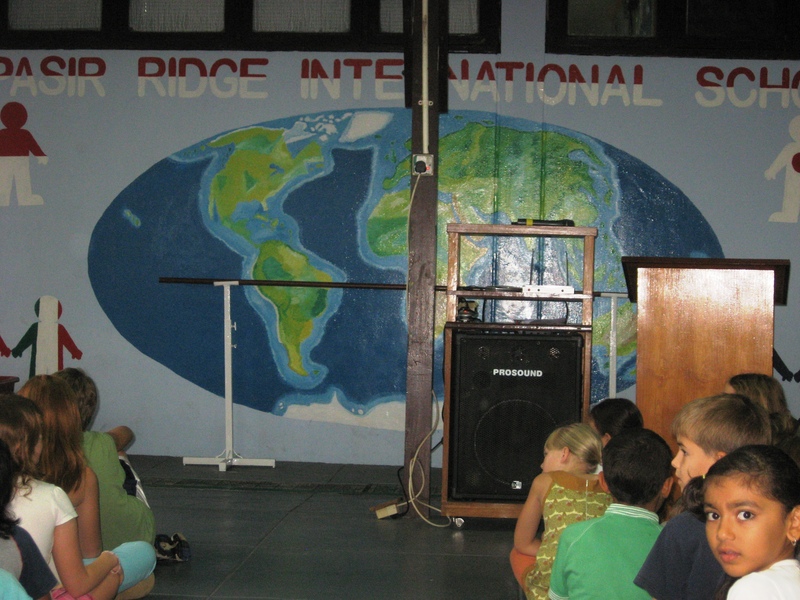 I’m reeling with the joy of a repeat author visit to Pasir Ridge International School in Palikpapan, Indonesia, the place where kids and faculty inspired me to create Dakota, Lanie’s best friend who is getting to live out Lanie’s dream and work with orangutans. 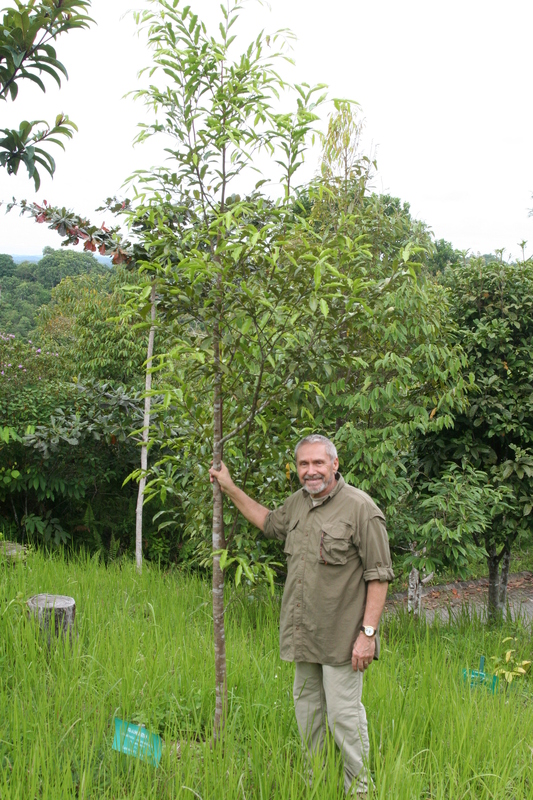 Leonard got to return to the BOS orantugan project and report on Lady and the orangutans and the tree he planted last time. Kids everywhere I spoke in 2010 know that orangutans need trees…and that humans are cutting down those trees with scary speed. This particular effort to provide trees grew out of a small response–at the school–to an orangutan or two that needed refuge. It was thrilldom to spend three jet-lagged days with talented young writers from all over the world (and their talented teachers) reading, writing, signing books, and hearing about this year’s student trip to the Samboja Lestari project. We talked together so much about what Lanie discovers…maybe if you live in Boston, you can’t go far away to help orangutans. Maybe you’ll discover the power to help the insects and birds and other small animals in your own back yard. As everywhere I go, we also talked about the power to share books and reading…in our own houses and all around the world. Kids from every continent…young world travelers…looking around them with such curiosity and intensity and hope. In the past week, reading student work from the Vermont College MFA in children’s literature has taken me into the strangest places. A music-thumping pit. A shop with furry antlers dangling in a corner. A grubby gym with my teacher’s false teeth near my head. Into a family destroyed by a dictator. Into a family shaken apart by the Korean War. Into a foster child. A princess who sings and one who doesn’t. Who needs to leave the couch when words, carved well, carry us into the past, the future, the thumping hearts of other humans? But I have gotten off my couch. If I hadn’t climbed onto planes, lugging my luggage, I wouldn’t have gotten to see the amazing fundraising talents of Beth and her friends in Houston. 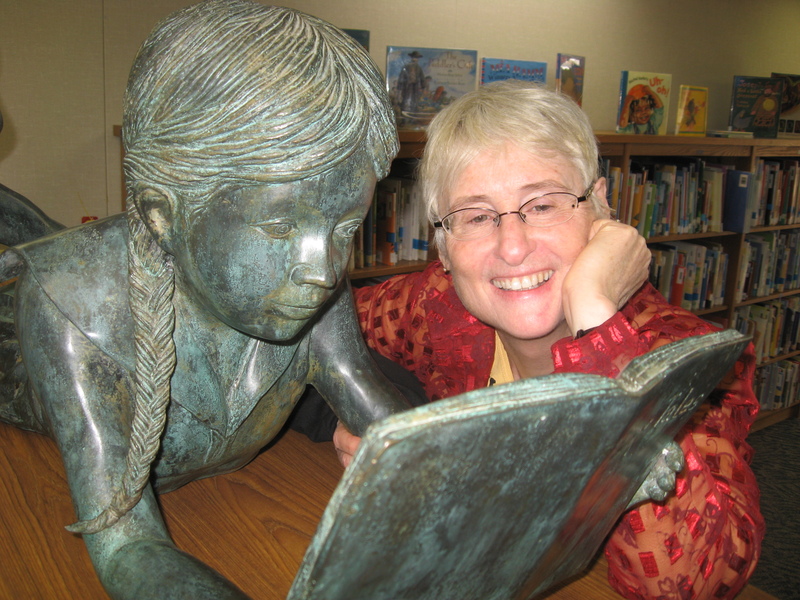 I wouldn’t have met teachers at the reading conference in Denver who want to see us–educators and parents–rise up and demand that books have their rightful place in classrooms and school libraries, again. (We baby boomers moved through history in such a big lump. Can it be that we’re going to let our idealistic voices be quieted now?) 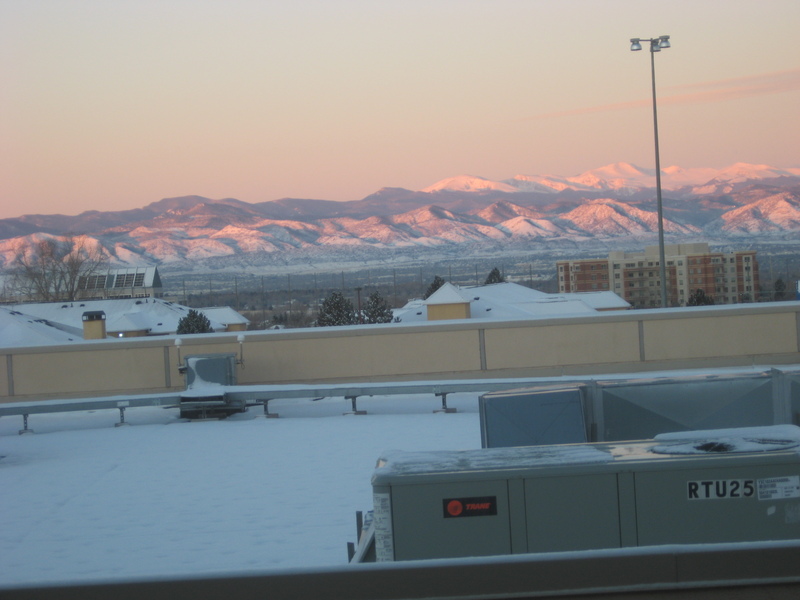 I wouldn’t have looked out my hotel window to see the sun lifting into the pink sky behind the mountains, either. 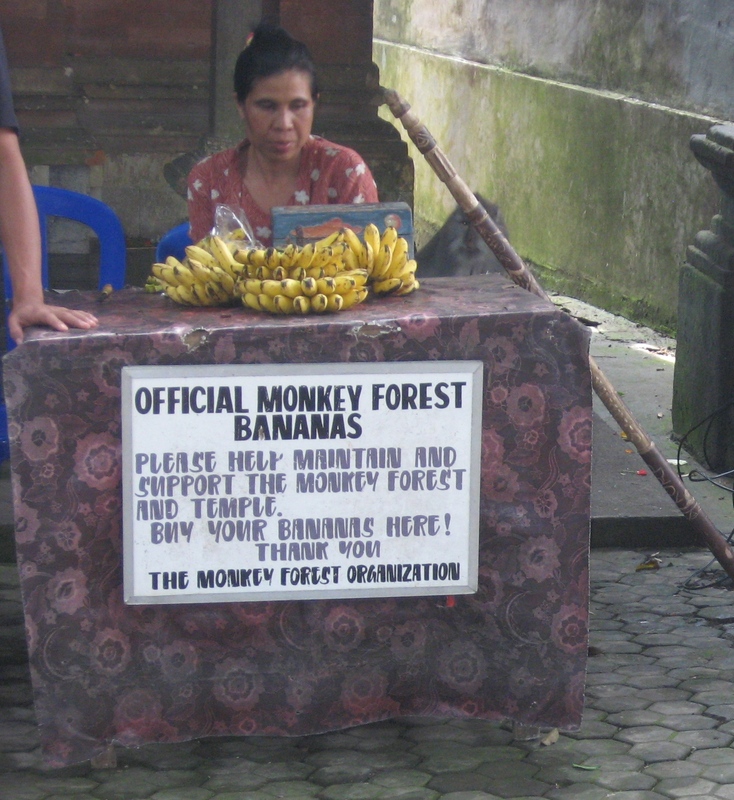 This is what I’m thinking about, now, as I pack my bags for an author visit in Indonesia. It’s so hard…finding the international cell phone and my passport–putting away my winter coat and taking out my raincoat–trying to figure out how much snow might sit between the shuttle and the doors of the airport and whether I can wear my walking sandals rather than my boots. I think of myself crammed into an airplane seat. Sitting. Sitting. Sitting. 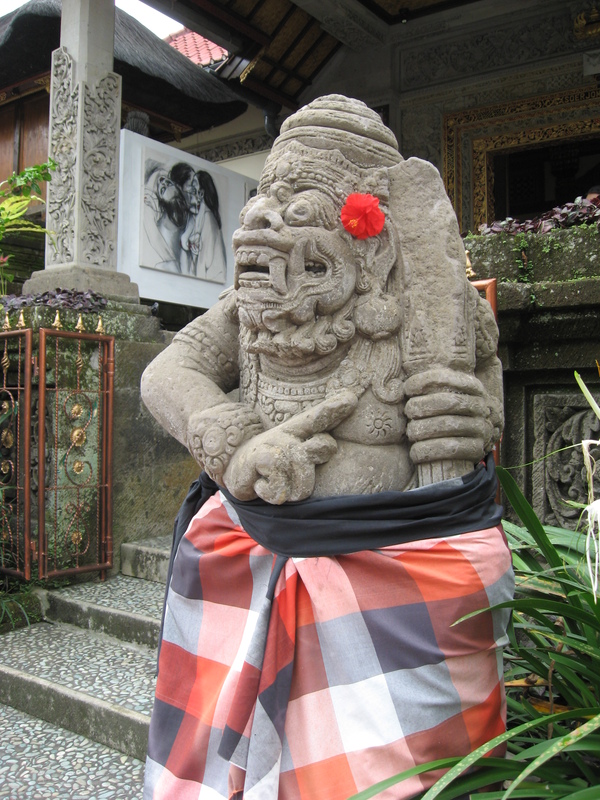 But if I hadn’t gone to Indonesia two years ago for my first author visits there, how would I have ever dreamed of this gray stone with its flowers and wraps? How could I have imagined the lives of the students I met and wrote with, there? 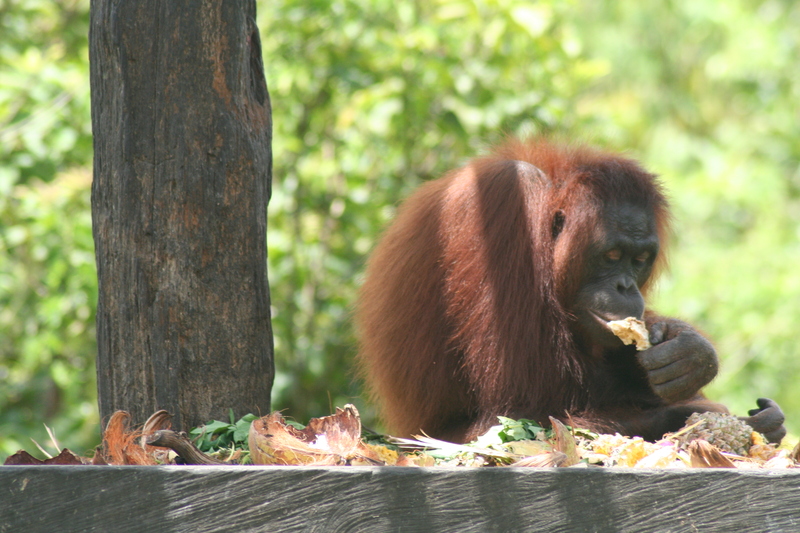 And Lanie’s friend Dakota would never have gone off to save orangutans in the book I wrote when I came back, either. The landscape is interesting everywhere, inside of us as well as out. Books carry our imaginations and understandings to new places even if we spend most of our lives scrambling after goats or carrying heavy pots of water. But me? I seemed doomed to want to pack–bad as I am at it–and scramble onto airplanes and see…everything. After all, one of the first things I ever pretended to read, on my way to Ethiopia, before I could even sound out one word for real, was that airplane literature that tells you how to slide down an inflatable slide. Whew. Did you ever notice the way life squishes everything together…the good, the bad, and the ugly…the scary, the mysterious, and the grand? My Houston trip was that way. 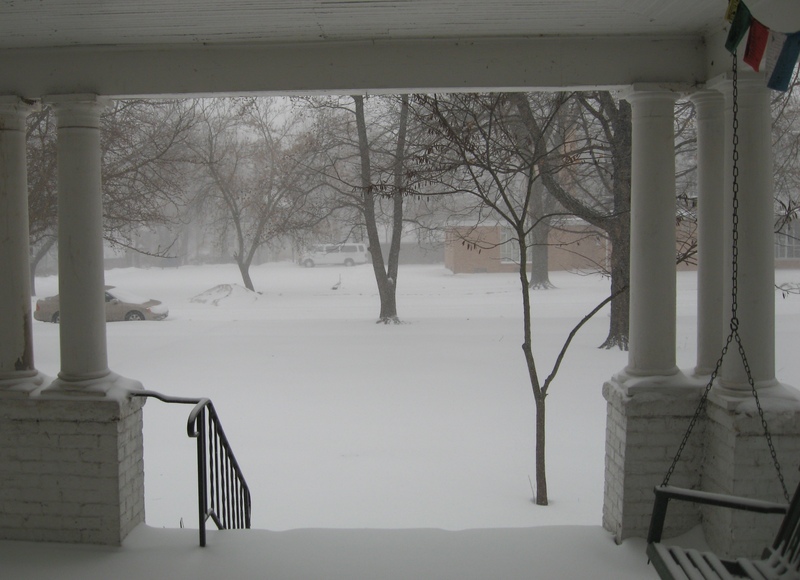 Today–back home in Kansas–the snow is swirling. I’m trying to figure out the journey to Colorado, where I’m supposed to be tomorrow. Brrrrr. But, as Leonard pointed out, at least we don’t have to make our way to the barn, the way he did during Kansas snowstorms when he was a boy. Also, my toes are toasty and my heart is toasty, too, as I think about the Houston community’s donations that will plant a new library in Ethiopia. Another shining example is Segi, on my right in this picture. 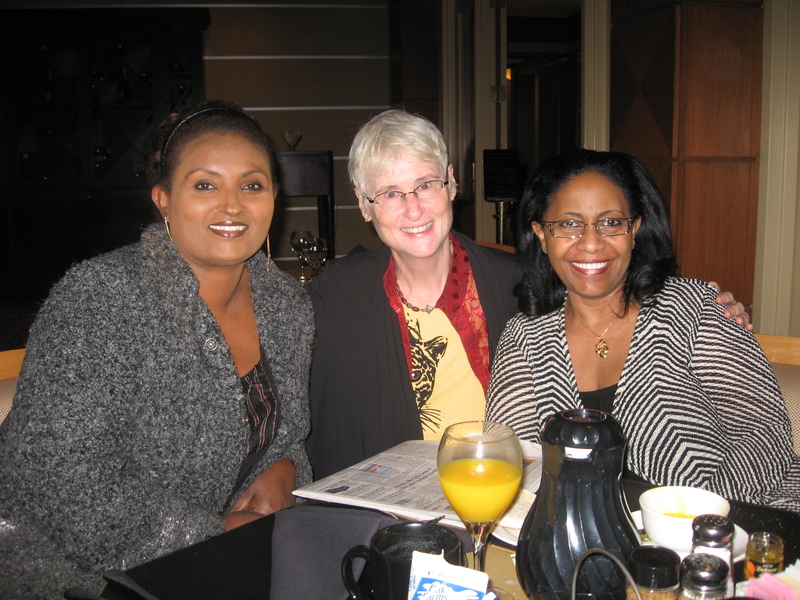 She spent a couple of years on the Ethiopia Reads board of directors and is now working with two other nonprofits that are doing important things in Ethiopia. And then there’s Bethlehem, herself (on my left). 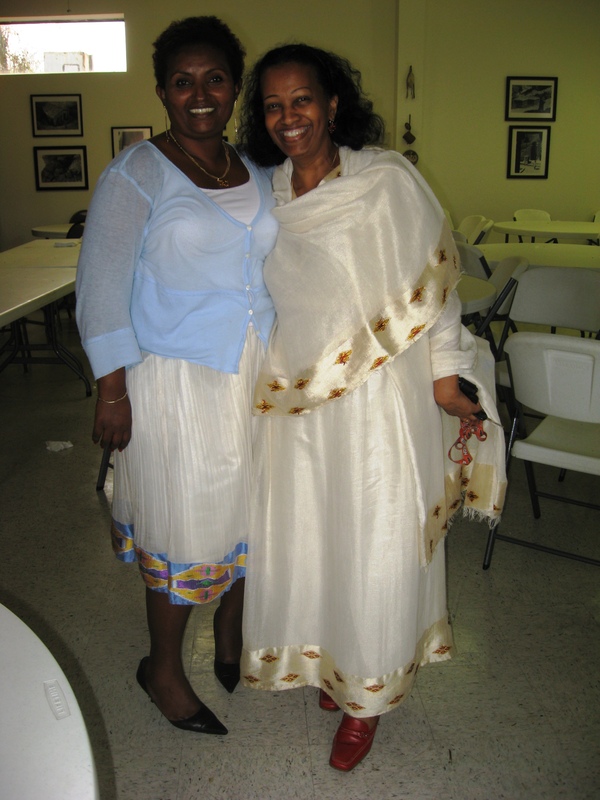 She and her family led the fundraising for the latest new library for kids in Ethiopia. One down. More to come–because I know she’s not done yet. Beth says her hope is in the next generation. I put a lot of hope in the next generation, too. 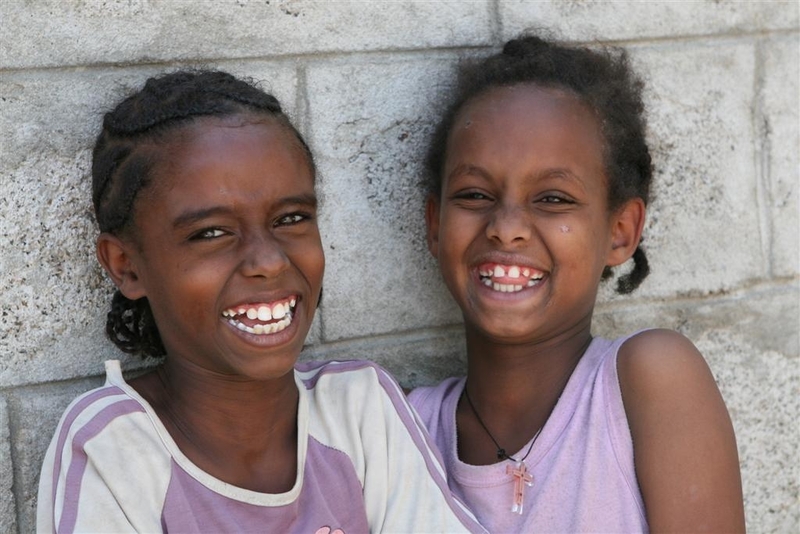 I’m convinced they will bring sweet and hopeful and big changes to Ethiopia. But we–Bethlehem, Habte, me, others–aren’t a lost cause. 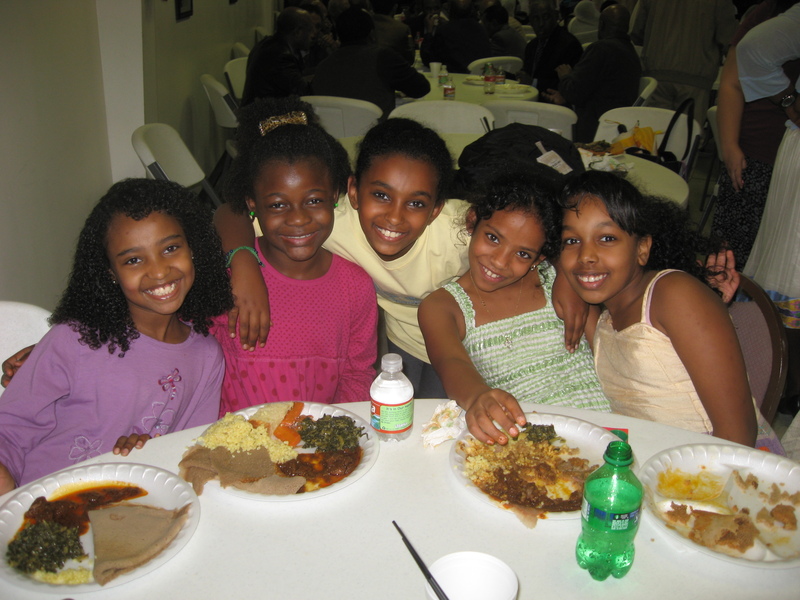 I mean, look at these girls in Ethiopia. 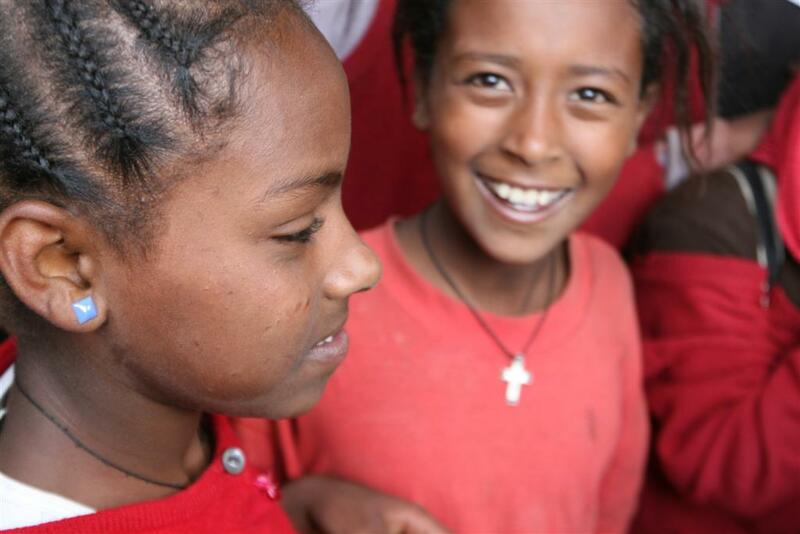 They have a library, now, and they represent thousands more kids that Ethiopia Reads will reach in 2011. 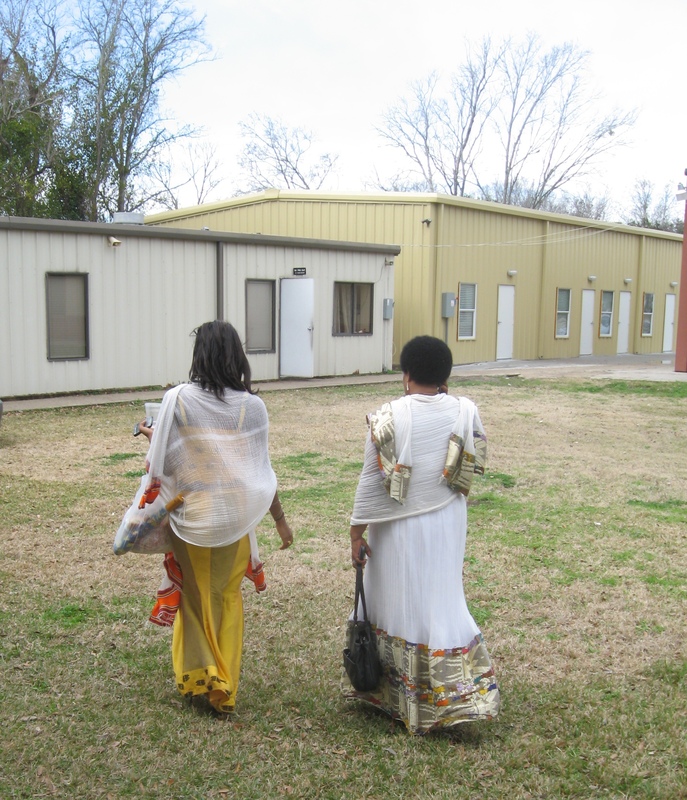 At the Houston Ethiopian Orthodox church on Sunday, my brother said, in Amharic, that because of the choices our parents made, Ethiopia is in our hearts. No choice. We will do whatever we can for Ethiopia, in the best ways we know how. That part of the experience was grand. So was the outpouring of support. 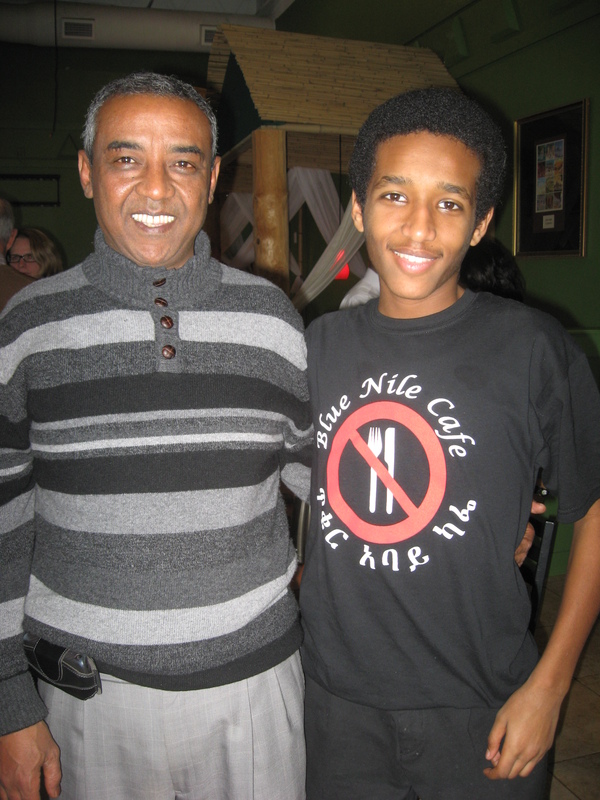 So was sitting and talking with a young woman who was a third grader when my older sister taught her class in Ethiopia. It turned out that her family’s history and my family’s history were entwined when I was a girl in Maji. The spraining my foot as I was setting up? Not so much. And then I still had to hobble home to a car sealed in ice and to predictions of a massive snow storm now whooshing and drifting outside. It’s reminding us of the blizzards that led to the Red River Flood in 1997. The bad and ugly ripple, ripple, ripple, right along with the good, I guess.